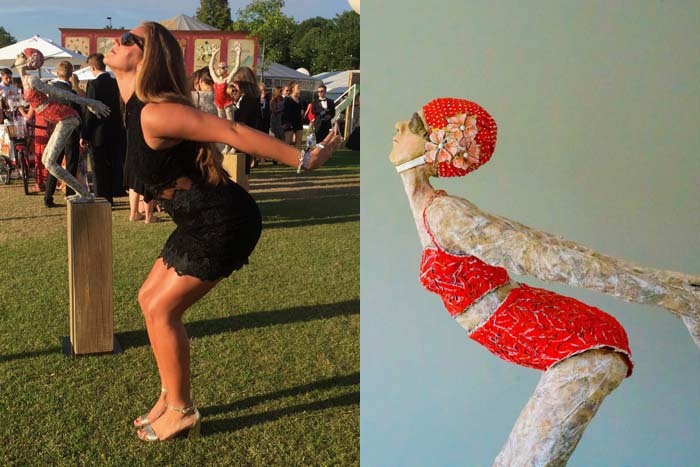 Many may remember the exquisite and stunning lady diver sculptures that were one of the statement art pieces on the lawn at the Henley Festival two years ago (2017). They became one of the star attractions to pose and have a selfie with that year. The sculptures were inspired by Lily Smith an early 20th century female long distance river swimmer. Lily was the only woman to compete in the first Richmond to Blackfriars race in 1907 (27 miles) alongside 32 men and one of the first woman to attempt to swim the English channel in 1910. 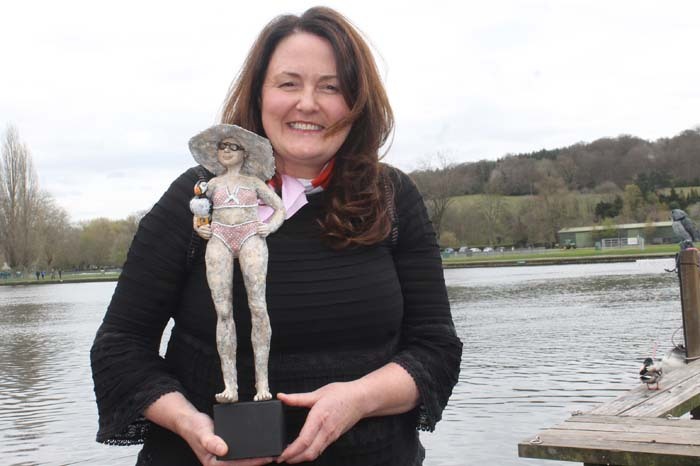 The artist behind the sculptures is Dawn Conn who after returning to Henley Festival with her Finding Wonderland collection last year has recently decided to make Henley her new home. Each of Dawn’s unique sculptures tell a story and have a hint of nostalgia too from her childhood growing up in New Zealand with lots of days by the beach and spending many happy hours with her Mother who was a talented dressmaker. Her Mother’s talent and Dawn’s value of resourcefulness inspired her to re-use discarded treasures and weave old textiles to create her art. Joining the Circus (pictured above) is Dawn’s latest sculpture and celebrates her move back to UK from Europe. It includes one of her favourite birds; the puffin with the title reflecting the bird’s group name (circus). The gorgeous expression on the bather’s face and intricate edges of the bather’s hat really shows off the beauty of using textiles to create these superb sculptures that definitely make you reminiscence about your childhood memories. Dawn’s mix-media sculptures which take 3 months from conception, are made starting with a welded steel or aluminium structural framework and then gradually built up with layers of aluminium, fibre glass mesh, wire and a waterproof plastic resin. Each layer is manipulated and moulded and then bound by resin soaked textile for a tactile finish. The finishing features are created with an exterior grade e-poxy resin to get finer life-like details. In 2018 Dawn reintroduced bronze sculptures into her collection and includes beautiful bathers and ballerinas.